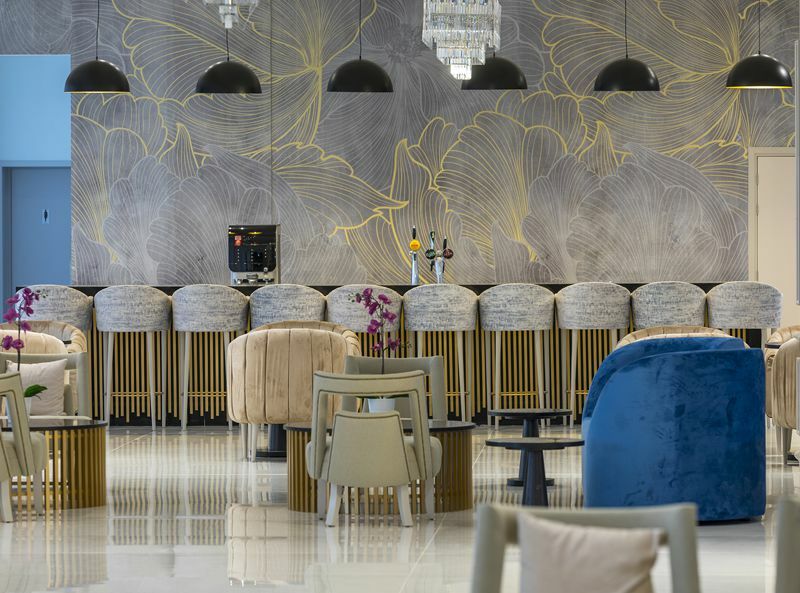 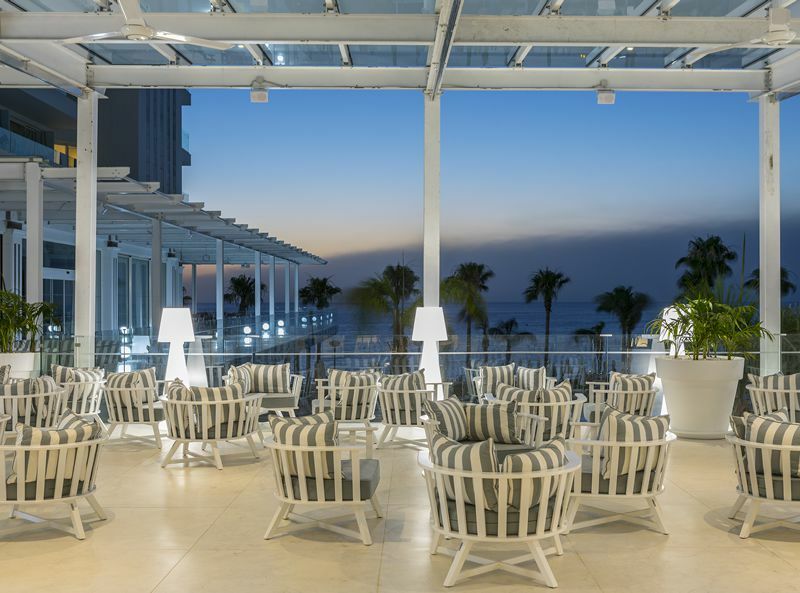 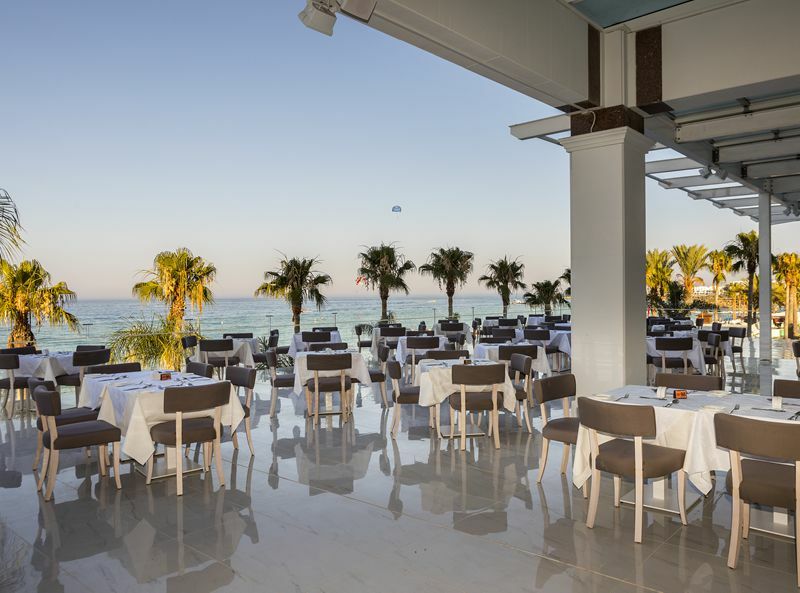 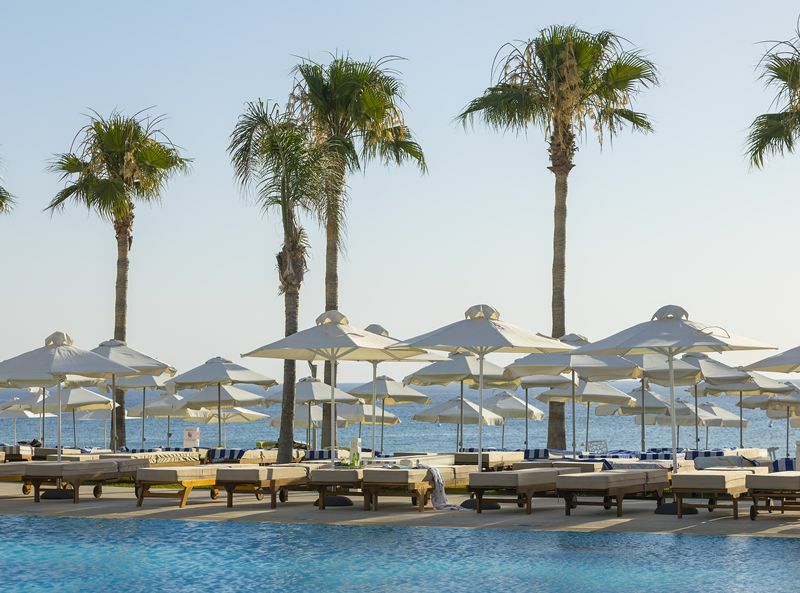 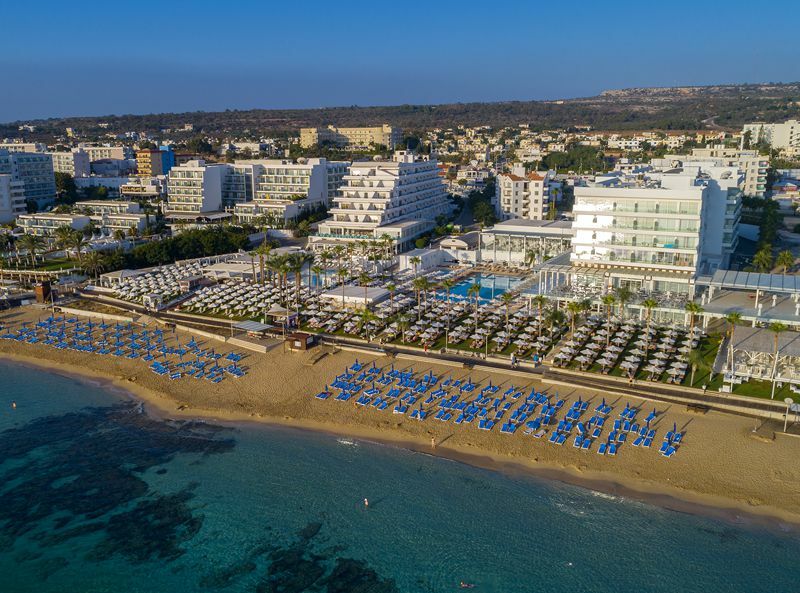 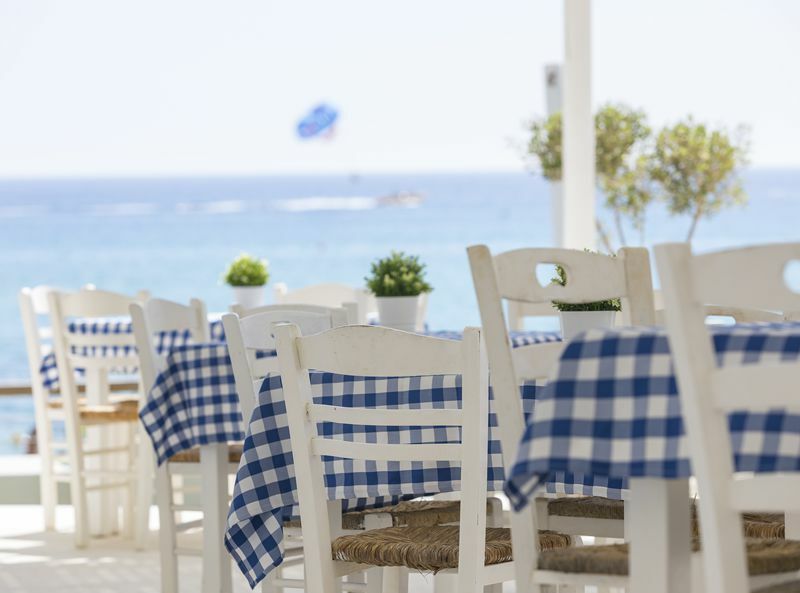 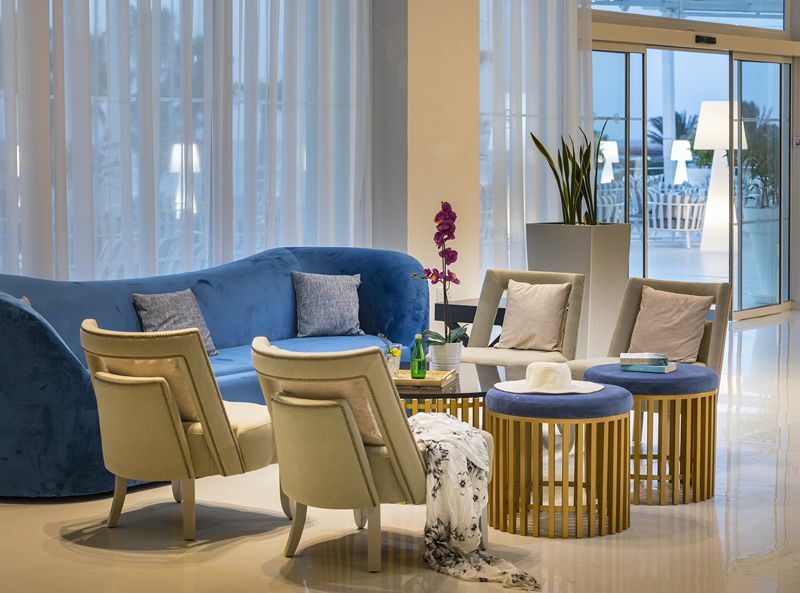 The Constantinos the Great Beach Hotel is located on a beautiful beach in the famous Cypriot town of Protaras, renowned for its many beautiful beaches, chilled-out atmosphere and places of incredible natural beauty, such as the Cape Greco National Park. 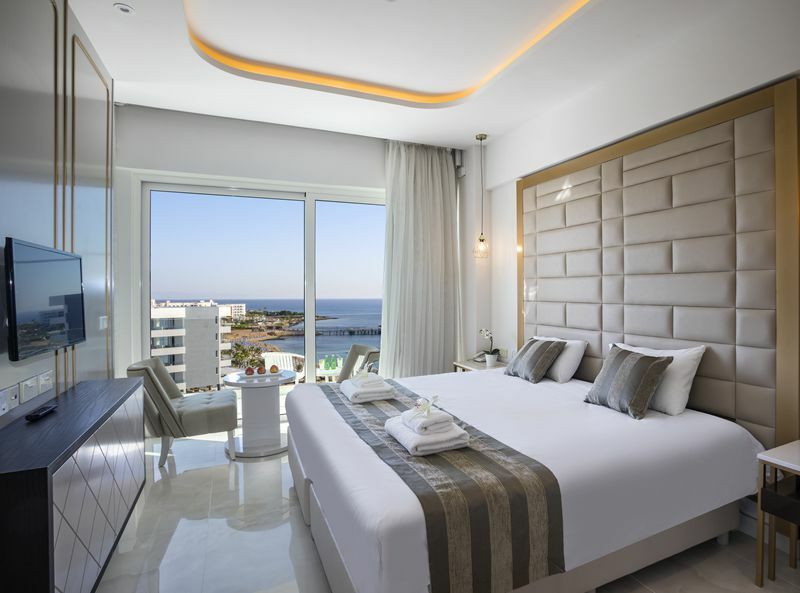 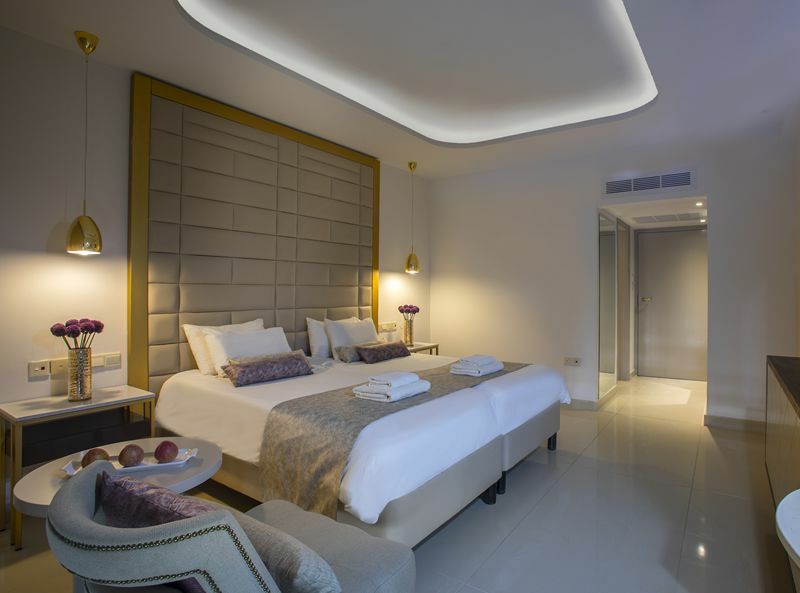 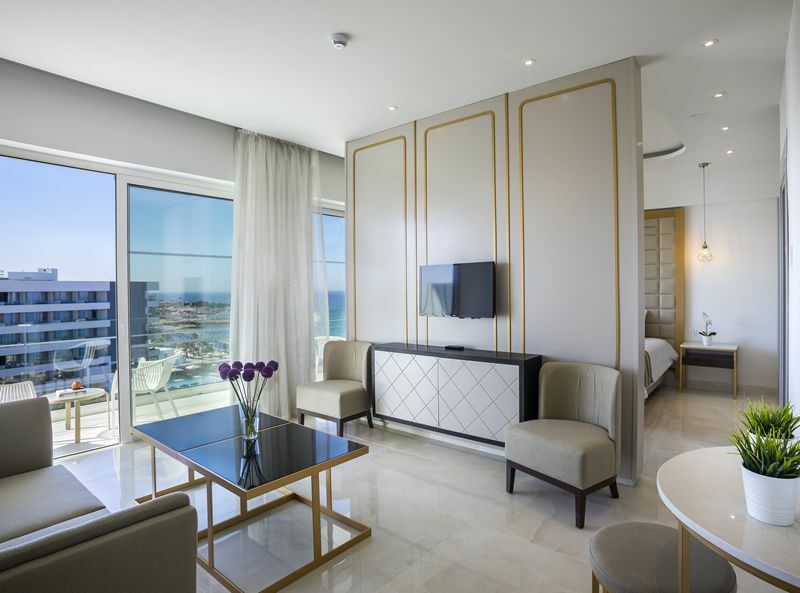 It has a wide selection of well-designed rooms and a plethora of excellent facilities, making it the perfect place to enjoy a typical beach holiday in Cyprus. 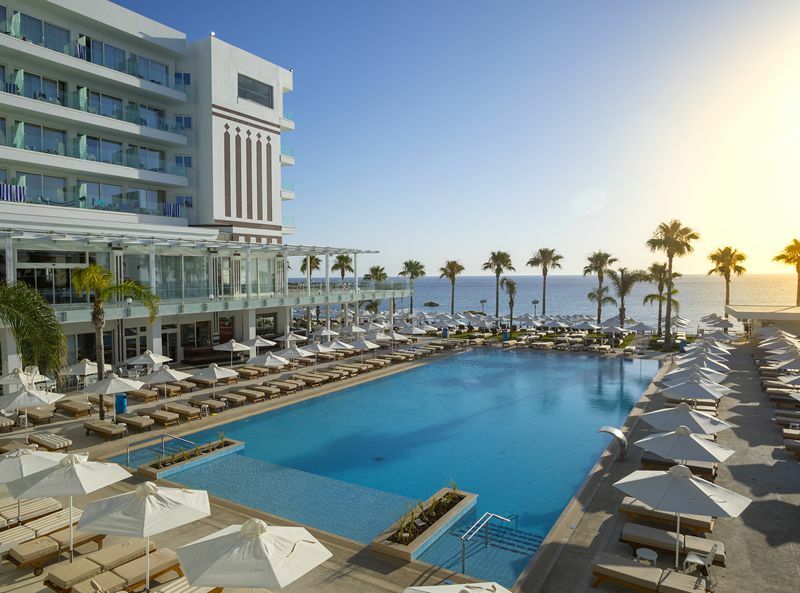 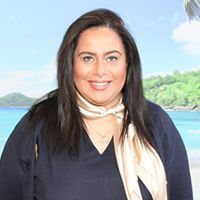 The hotel is family friendly and provides a number of dedicated children’s services, along with an All-Inclusive option for those who want to know precisely how much their holiday will cost. 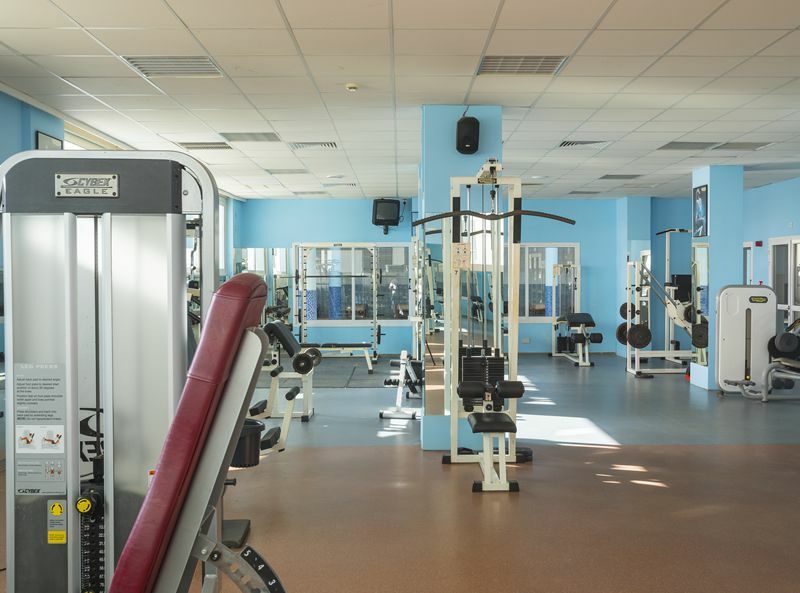 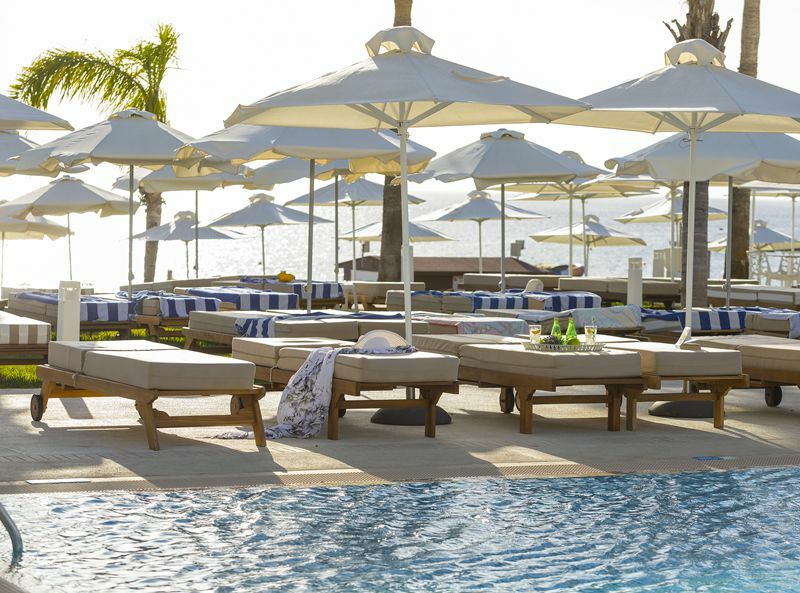 This along with the exceptional range of facilities, including a beautiful outdoor pool, a luxury spa, a modern gym and more ensures there is plenty of fun to be had for everyone. 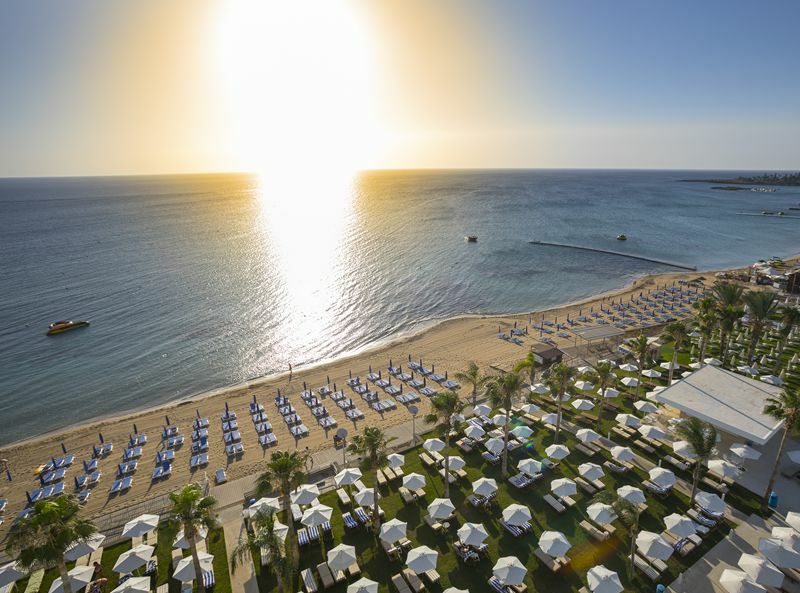 This makes the Constantinos the Great Beach Hotel the ideal hotel for people who want a relaxing holiday in the Cypriot sun next to a stunningly beautiful beach. 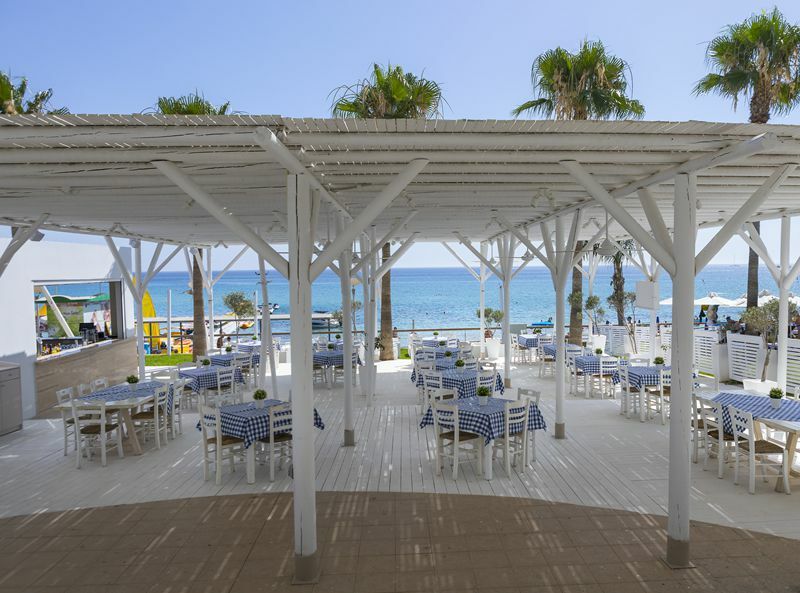 • 2 buffet restaurants – This pair of buffet restaurants provide breakfast, lunch and dinner, using a rotating menu that encompasses both international and local cuisines • “Sea Breeze” - à la carte restaurant serving local dishes and specialising in seafood • “Kohili” – lunchtime à la carte restaurant located next to the beach • “Poseidon pool bar” – chilled-out pool side bar, serving drinks and light snacks • “Atrium lobby bar” – cosy & comfortable hotel lobby bar, the perfect place to enjoy drinks in a relaxed setting. 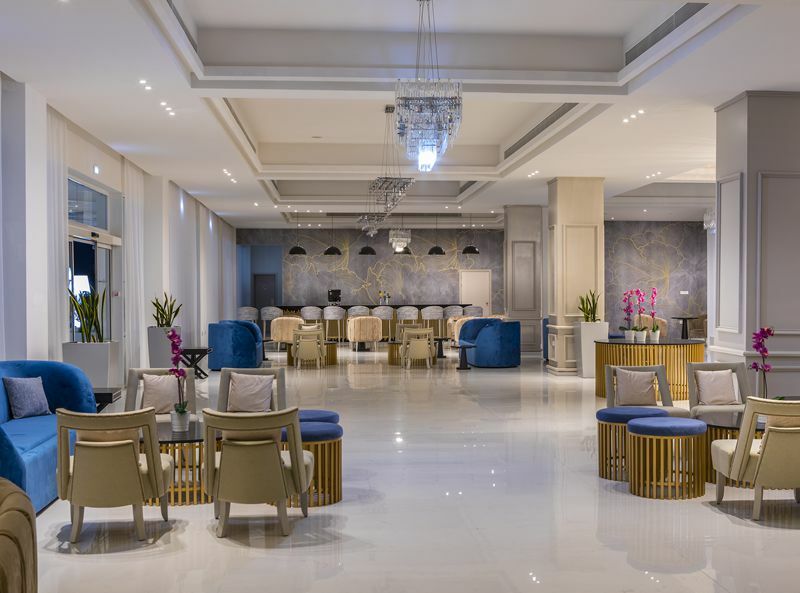 There are 191 rooms at this hotel. 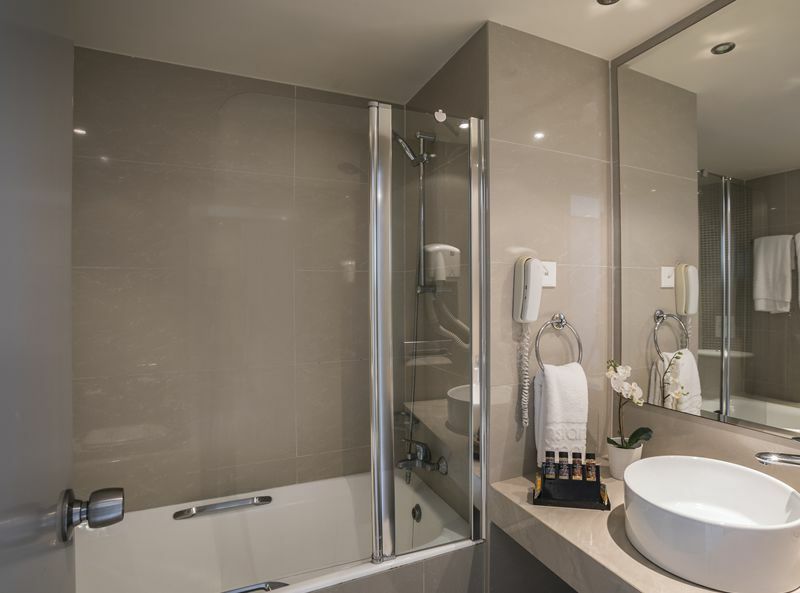 All rooms feature a furnished balcony, WiFi (at a charge), air conditioning, satellite TV, tea and coffee making facilities, safe, mini bar, hair dryer & FREE toiletries.